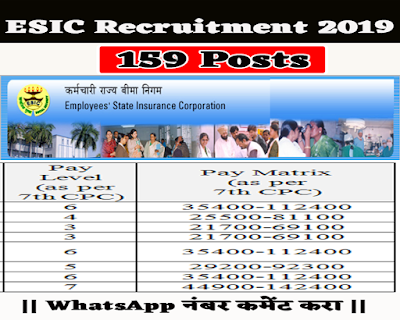 Employees State Insurance Corporation, ESIC Maharashtra Recruitment 2019 for Dental Hygienist, ECG Technician, Lab Assistant, OT Assistant, Occupational Therapist, Pharmacist, Physiotherapist, Staff Nurse for159 posts. 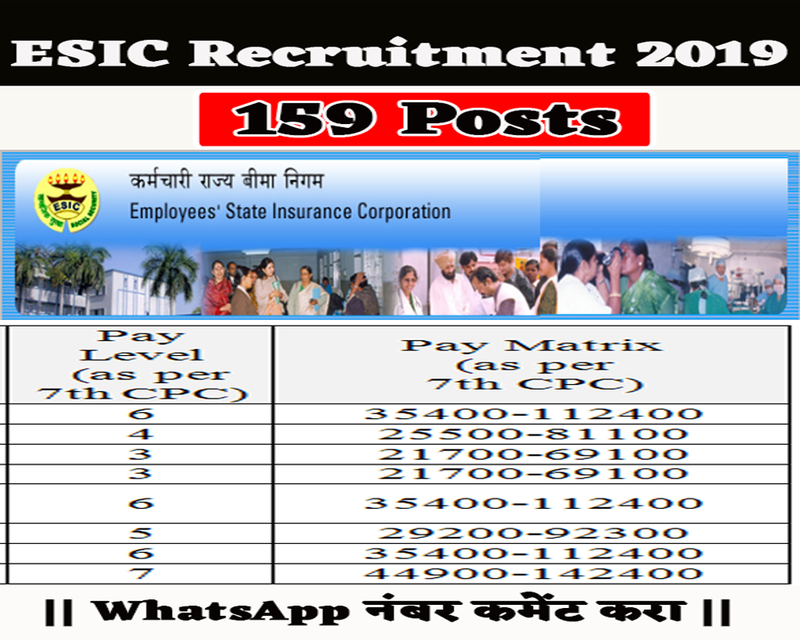 Interested and Eligible candidates who wants to apply for these posts submit their applications on official website of Employees State Insurance Corporation Maharashtra (ESIC) 21 January 2019. For more details like age limit, salary, how to apply, selection process please refer the below article. For Post No.2: B.Sc with 01 year experience OR 12th pass with 03 years experience. Candidates must apply online through the website given below. No other means/mode of application will be accepted. Application received through any other mode will not be accepted and will be summarily rejected. To apply online visit official website given below. Online Examination may be conducted by holding a single examination. As such candidates may carefully apply for his/her choice of post and region/state post.